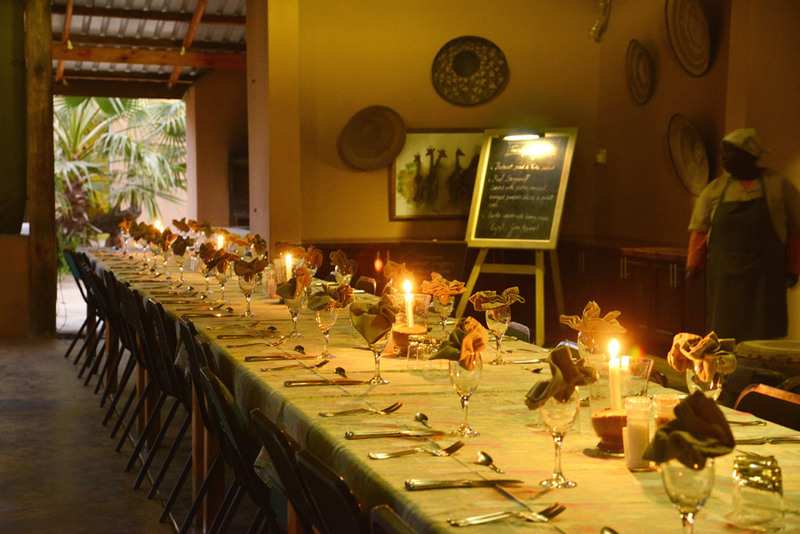 At Makutsi, meals are served in an open Lapa & food served is fresh and organic. We have two of our own organic vegetable gardens, each about the size of a football field. Most vegetables are hand-picked in the afternoon, and served in the evening. We also have our own heard of cattle, and occasionally (seasonal) serve venison meat. Both our cattle and the game have big areas to roam in, which means the meat that we serve is lean and healthy. 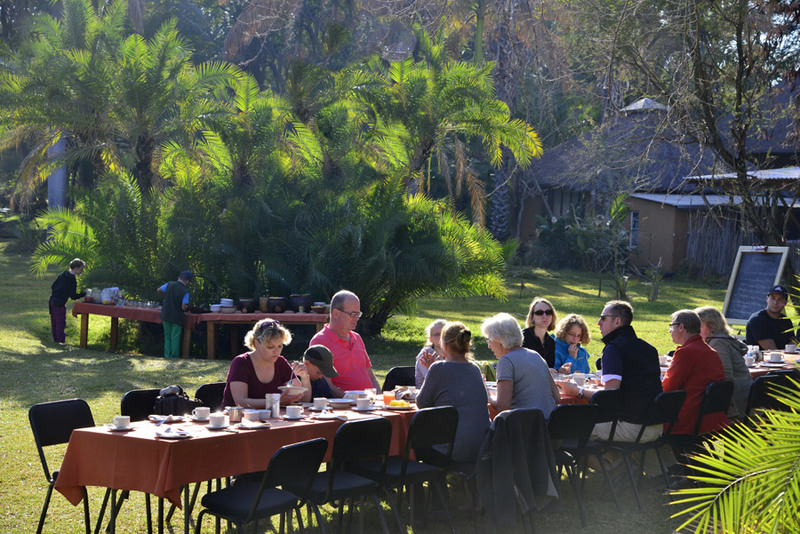 Breakfast 8-9am: Buffet Breakfast with fresh seasonal fruits, cereals and muesli, egg orders as you like them, toast, coffee/tea. Lunch 12-4pm: Lunch is not included in your package. We have a lunch menu & home made cakes (which can be ordered at breakfast time – at own cost). Dinner 7pm: A 3-course set menu is served during dinner. Guests sit together at big tables and chat about the days happenings. * Please advise us in advance if you have any dietary requirements. We will do our best to cater for your needs, but please keep in mind we are very remote and some ingredients are difficult to find. 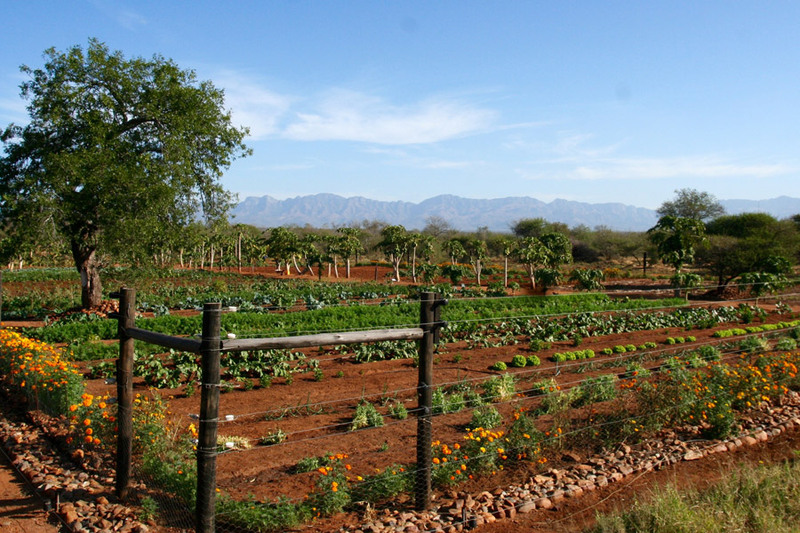 With two organic vegetable gardens, a heard of cattle along with local game we ensure that meals are fresh and wholesome. 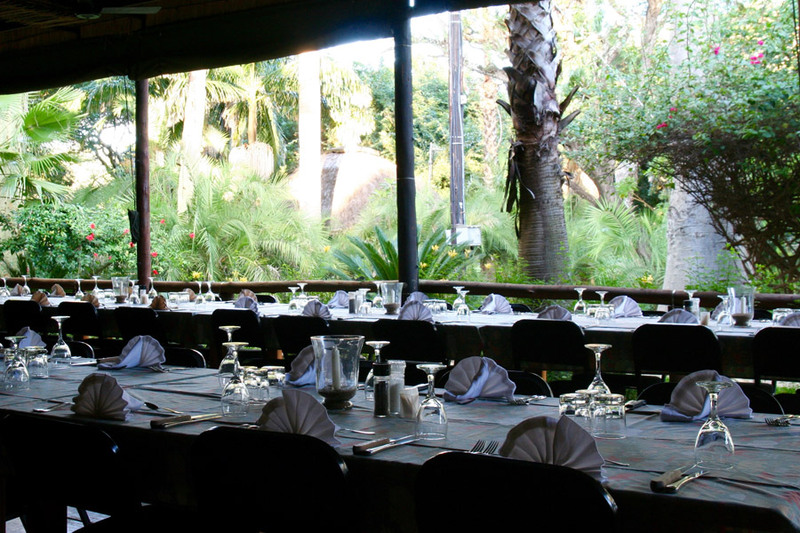 Please click here to see our policy regarding Dietary restrictions and food intolerances.